Technology is widely regarded as a key driver of global economic growth. Across the world, whole industries and sectors are being transformed by new technology that leverages the internet. According to the World Economic Forum, Information Communications Technology (ICT) is not only one of the fastest growing industries – creating millions of jobs – it is also an important enabler of innovation and development. There are some 6.8 billion mobile subscriptions globally with 40 percent of people in the world already online. In such an environment, to be competitive, countries and companies must leverage ICT to grow and innovate. In this brave new world driven by technological innovation, what once was considered peripheral is fast becoming mainstream. Take coworking spaces, where individuals can rent a desk for a day, a week or longer and share facilities with their cotenants. Not long ago, only freelancers and part-time workers used coworking spaces, but is now one of the fastest growing segments of the property market. Small Business Labs, an organisation that monitors coworking spaces around the world, expects the number of people renting coworking spaces to grow globally from just under one million in 2016 to nearly four million in 2020. One of the largest players in this field is US-based WeWork, which recently acquired Singapore-based Spacemob, which has ambitious plans for Indonesia. Founded in 2010 in New York City, WeWork is valued at more than US$20 billion, has offices around the globe and manages an estimated ten million square feet of office space. The company’s 10,000+ members have access to health insurance, an internal social network, social events and workshops and an annual summer retreat. Like every other company that has grown big in the sharing economy, WeWork saw a need and an opportunity and matched the two. Having established itself in more than 16 countries, WeWork is now eyeing Southeast Asia. According to Jefrey Joe, cofounder and managing partner of Alpha JWC Ventures, a venture capital firm that invests in technology companies, the coworking industry in Indonesia is poised to explode. Alpha JWC Ventures was an early investor in Spacemob, which has a coworking space in Gama Towers and is now working with WeWork to expand its footprint across the country. “There are more than ten players in this space at the moment, including small players,” Jefrey told the Indonesia Economic Forum. WeWork has in fact dedicated US$500 million to fund its expansion across Southeast Asia. What sets WeWork apart from other players in the coworking space is the fact that it is creating more than just a physical space. The company, similar to Facebook and Friendster, is in the business of building a social network. With WeWork’s backing, Spacemob intends to expand to a few more locations within Indonesia in 2018. In this industry, Jefrey noted, scale is vital. Coworking was a big trend in 2017, with both large operators and smaller boutiques aggressively expanding into almost all markets around the region. The coworking/flex space model is here to stay, but there are some concerns around the long-term viability of some operators. The service is great for corporate occupiers in that they can expand and contract quickly without taking on long-term liabilities. For many corporates, they are not seeing this flexibility, costing them a significant premium – which pulls into question the operating margin for some of these coworking spaces. The business model of course has some parallels to the serviced office product, which has at times been shown to be quite volatile with regard to its operational viability. 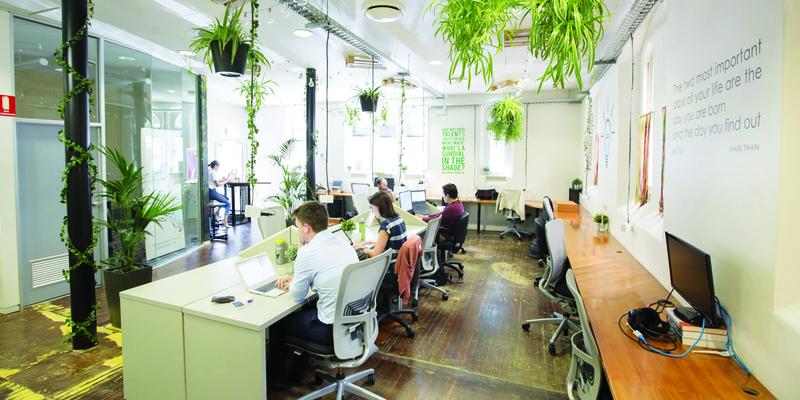 It will be interesting to see how coworking operators handle a cyclical downturn, as corporate clients cut short-term liabilities and centralise remaining personnel back to their HQ. Generally, cyclical downturns are also associated with a reduction in R&D expenditure and therefore the short-term contracts for personnel and project space requirement are reduced. This would also flow through to the private individual clients of coworking operators, as freelance, IT and tech workers would experience a fall in demand for their services. Landlords will most likely start to look closer at the business model proposed by an individual coworking operator as the sector becomes increasingly competitive. On an occupancy basis, coworking tenants may have a higher downside beta than many other sectors, so landlords will want to consider the impact of Net Operating Income (NOI) volatility associated with various coworking occupiers. Perhaps landlords will look closer at what level of bank guarantees might be required to shield themselves from tenancy risk concentrated in the coworking sector, or whether or not there is a case to apply a rental premium. Furthermore, major landlords with large portfolios may also look to build up their own capability in the coworking sector in order to capture any upside benefit from coworking operations – as well as to reduce their tenants from eroding their business model of renting space.